Out of the blue I had a craving from fried chicken. As much as I love Korean Fried Chicken, my favorite of all time is still Jollibee's. 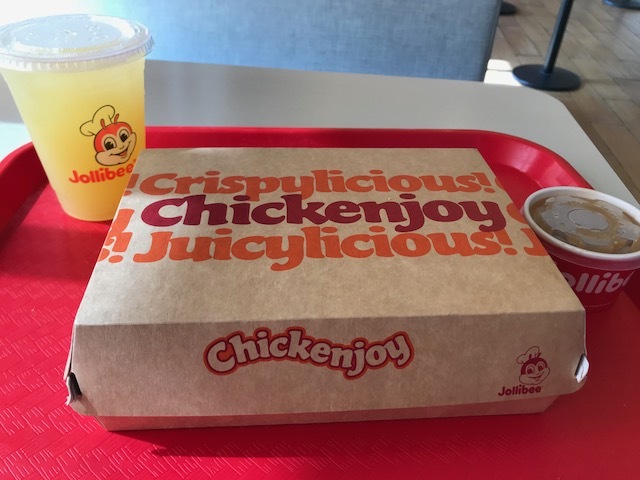 They call their meals Joy, so this is the ChickenJoy. As the name implied, there's chicken inside. I got 2 pc with fries. They come with gravy. I've tried it, it's ok, but not a fan. There's way too much fries anyway. I also got a pineapple quencher, it's not too sugary, and it's definitely pineapple enough to be an aqua fresca. 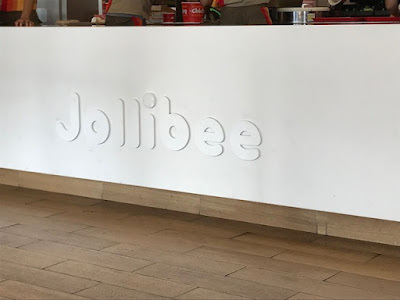 So, what's so great about their chicken? They're always crispy, never dry, and juicy every bite. The best part, it's never oily. 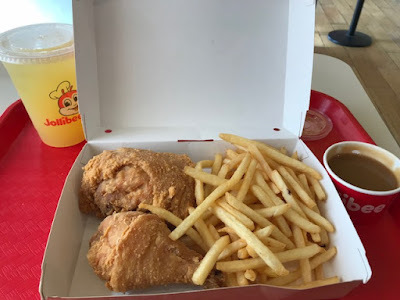 I was out of desperation once and went to a fried chicken chain and got 2 pieces, and needless to say, after one bite I was disgusted with myself of all the oil that's still on the chicken. That's still the best one I've had in this town, highly recommend it. Next time, I'll save room for the peach and pineapple pie.